For members of the Professional Marijuana Industry, WeedClub fosters a safe & elegant environment to discover and connect. 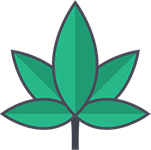 For consumers, WeedClub is a fast and accurate way to discover local dispensaries and retailers. Members enjoy access to our messaging platform. Members can find and communicate with each other without revealing their personal information. Furthermore, WeedClub does not store or log messages in our system. In tandem with the way Member Information is hidden from view, we only allow verified Members to access the Vendor contact information — adding to the level of trust in our fledgeling community. Your privacy is important to you and it is important to us! The good news is that we afford privacy, while enabling Members to find the products & services that can help to maintain and grow their businesses. If you are a Dispensary looking for High CBD material, all you need to do is log in to WeedClub and Search for products and then message the matching Vendors. Likewise, a Vendor can now reach out to new customers and Retailers. If you are a Dispensary: Claim or Add your Official WeedClub Profile Page. Add photos, menu items, adjust your hours and be ready for leads over our messaging platform and in person. If you are a Cannabis Professional, Supplier or Vendor: Sign Up for WeedClub and submit your certification so you can start interacting with new customers. If you are an Individual: Find local dispensaries, retailers and physicians. Sign up for a Personal Plus account to enable Full Search, Blogging and Private Relay Messaging. Our mission is to provide a safe platform for you to connect with others in the legitimate Cannabis Community. Your feedback is critical to us in order to deliver on this promise. Thank you for your interest in WeedClub.com and we wish all of our clients and friends immense success! WeedClub was constructed securely in the cloud, using Silicon Valley talent and practices in order to provide the most modern, most functional site on the planet.